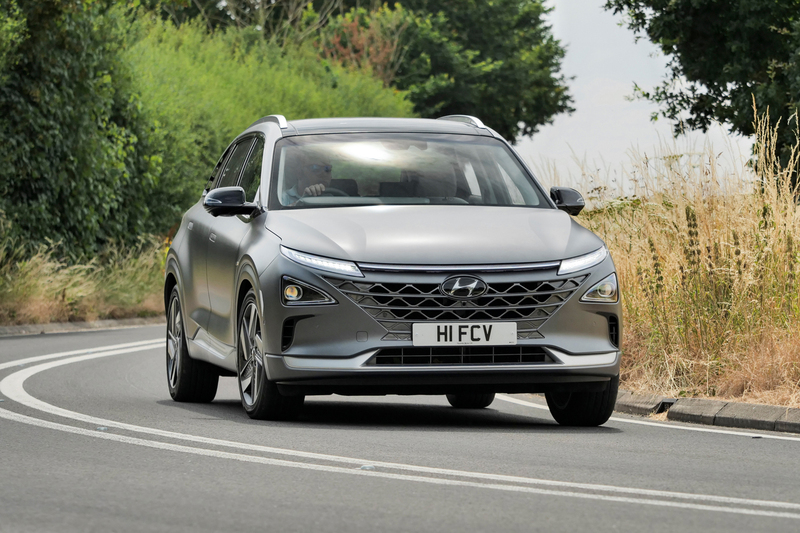 THE zero emission Hyundai Nexo hydrogen powered fuel cell car will cost from £65,995 and will be available in just one fully kitted specification. 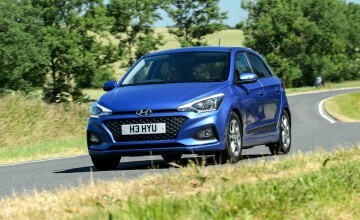 The price includes the Government's Â£3,500 grant for low emission vehicles and Hyundai's second hydrogen model will be sold directly by the company in the UK - not from its dealer network. With a range of up to 414 miles the Nexo is a family-sized five seater with performance figures akin to those of a regular model - 0 to 60 in around nine seconds with a top speed of 111mph. 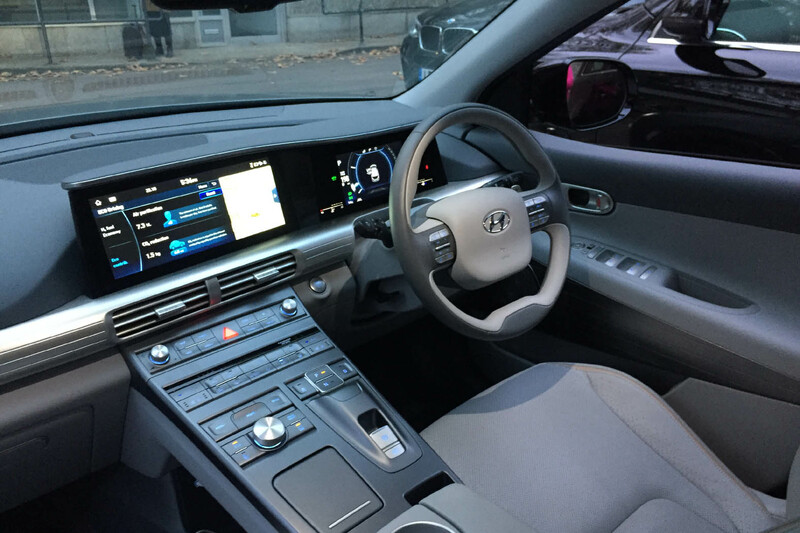 Hyundai has been trialling the Nexo in and around London for the past few months and the capital currently has the highest number of hydrogen filling stations with five clustered in the area. Its range is greater than that of battery-electric vehicles and the Nexo does not need to be plugged in with refuelling done via a nozzle at a filling station. 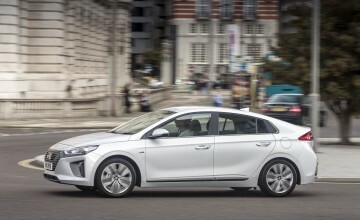 The Nexo is Hyundai's second fuel cell car and follows on from the ix35 model which was available only in left hand drive in Britain. As a right hand drive car the Nexo joins Hyundai's other pure electric models in the UK, the Kona and Ioniq and is indicative of the Korean company's plans to introduce more than 40 electrified models by 2025. 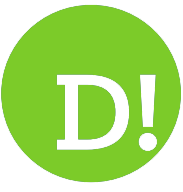 It has already gained a five star Euro NCAP safety rating and is as environmentally friendly as they come with bio materials used throughout the interior seeing the Nexo being awarded the UL Bio Environmental Seal - one of the world's leading standards for ‘green' products. 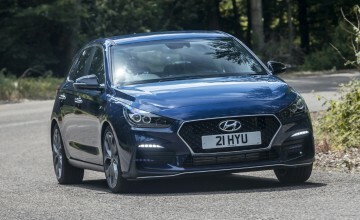 As well as its high-tech powertrain, the Nexus is also fully connected and fitted with semi-autonomous driver aids including lane following and adaptive cruise control. It can also park itself - an operation which can be performed from its keyless entry handset. 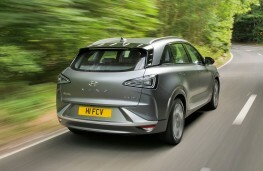 Ashley Andrew, Hyundai's managing director in the UK, said: "Hyundai will always be proud to have been the first manufacturer to bring a commercially available fuel cell electric vehicle to market with the ix35 Fuel Cell. "The Nexo re-positions our status as market leaders by combining its cutting edge powertrain with a bespoke, stylish body and comfortable and technically advanced interior. "The ix35 Fuel Cell was previously only available in left hand drive configuration but with Nexo's's global development ensuring right hand drive availability, we are already in talks with a number of existing and new customers and are looking forward to the first customer deliveries soon." As with all Hyundai's the Nexo comes with a five year unlimited mileage warranty and its battery system is guaranteed for eight years.